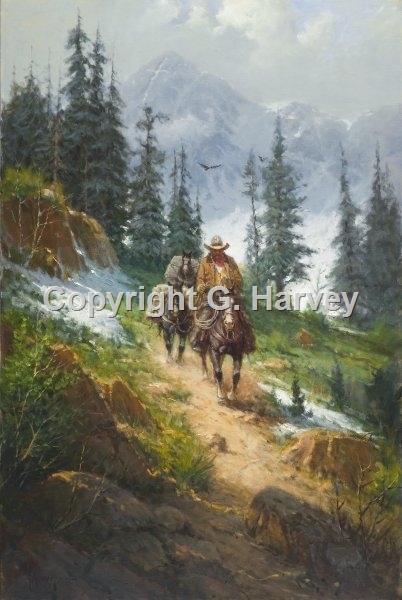 The lone cowboy with his companions, his mount and pack horses, venture into the Rocky Mountains in early spring before the snow is completely melted. In the background is the Mount of the Holy Cross which is famous for the way it's crevices form a perfect cross. Is it any wonder that brave men and women settled the West with days like this to look forward to? Spring in the Rockies was beautiful enough to overcome all the hardships settlers had to endure.